The differences between a dynamic warmup and static stretching were outlined in our previous blog post, explaining that both are key to help prevent injury for runners. Part 2 of our running injury prevention series will cover the static stretches you should be doing after your run. Dynamic stretching as part of a warmup before activity helps to prepare the body for the demands of physical activity, and involves moving muscles through their range of motion. Static stretches done after activity are important to decrease stiffness by improving flexibility and joint range of motion. These stretches are called static because they involve elongating a muscle and holding it in the same position for a short period of time. For many years the widely accepted belief was that static stretches before activity were important to reduce injury. Research in recent years has shown that not only do static stretches before activity provide no benefit, but can actually reduce strength, power and performance when running or jumping. The correct timing to receive optimal benefits from static stretching is following activity, once the muscles are warmed up and more elastic. Static stretches after activity can improve flexibility, decrease muscle tension, increase muscle length, and improve joint range of motion. Shortened muscles can result in muscle imbalances, which impact performance and can lead to pain and injuries over time. An example common among runners is short hamstrings, which can lead to knee pain and injuries from the resulting stress placed on the knee joint. Short hamstrings are also susceptible to strains, and can cause low back pain as the pelvis is pulled down into an unstable position. In addition to causing muscle imbalances, short muscles also limit joint range of motion. This can decrease performance, affect running stride and therefore contribute to injury. Static stretches after activity also provide an additional recovery benefit of increasing blood flow to help remove waste products accumulated during activity. Muscle tension is different than shortened muscles, and differentiation between the two can determine which treatment type will be most effective. Shortened muscles will feel tight and stiff with a limited range of motion, resulting from the muscle itself having a reduced length. Short muscles will put a strain on tendons and joints, which can contribute to discomfort and injury. Tight or tense muscles may have focused areas of discomfort caused by fibers that are unable to release their contraction. These are commonly known as muscle knots, and are nodules that can be felt in the muscle. 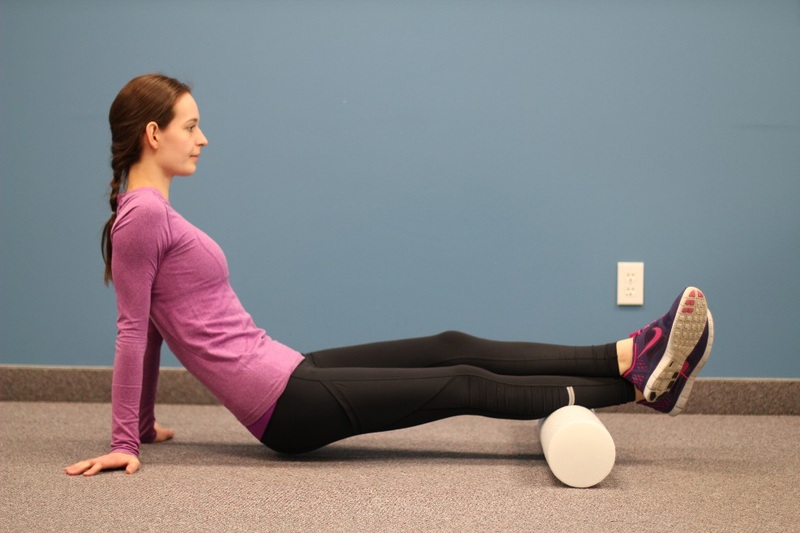 Deep massage or foam rolling is required to release these spots of contraction, and stretching alone may not be enough. If a stretching program is not relieving the feeling of tight muscles, there may be another underlying cause resulting in the sensation of a consistently tight muscle. Muscles can feel tight when they lack the strength or endurance to support the demands of activity. Additionally, a muscle can be too stretched out and also weak but still feel tight because it has to work too hard in a lengthened position. These muscles should be strengthened to decrease the feeling of tightness rather than stretched. A detailed physiotherapy assessment can help identify which muscles need to be stretched and strengthened and will address any underlying joint restrictions. A deep massage from a massage therapist can also be beneficial for all individuals with tight muscles. A good stretching routine should include the major muscles used during the activity, and at BodyTech Physiotherapy we have created a stretching routing specifically for runners to do after their runs. Each stretch should be held for 25-30 seconds, gradually deepening the stretch upon exhalation. 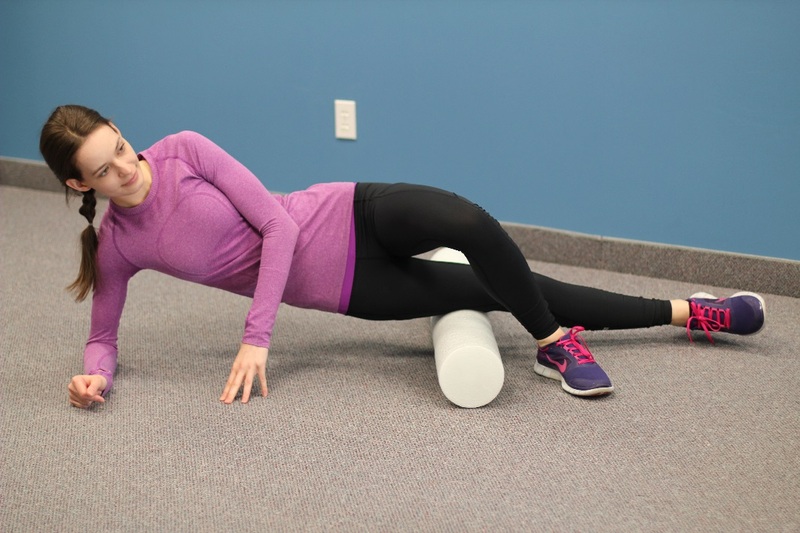 The stretches are easy to perform anywhere after a run, and we have also included number 8 and 9 with a foam roller as part of a routine at home or the gym. 1. Hip flexor – tuck buttocks under to tilt pelvis posteriorly, keeping back straight. 2. Quadriceps – tuck buttocks under to tilt pelvis posteriorly. Make sure the flexed knee does not drift forward in front of the other knee. 3. Hamstring – tilt pelvis forward while keeping back and buttocks in line to avoid arching the back. 4. Hip Adductor – keep back straight and bend forward at the hips. 5. Glute and External Rotator – keep back straight and rotate entire trunk at the hips instead of twisting upper body. 6. Soleus – bend both knees and sit back over back leg, keeping torso upright. 7. Gastrocnemius – from the soleus stretch straighten back leg while keeping heel on the floor. 8. Iliotibial band – support with the top leg while maintaining a tight core to keep hips from dropping, rolling the side of the thigh from the hip to knee. 9. Gastrocnemius – cross legs on roller and roll from the knee towards the foot. A warm up before activity in combination with static stretches afterwards provide multiple benefits for every athlete, including increased performance and decreased chance of injury. Running is a repetitive and symmetrical activity that requires a balance of muscle length and joint range of motion on both sides of the body for optimal performance, and both can be maintained through proper warmups and cool downs. The repetitive nature of running can also lead to overuse injuries, which is why the warm up and stretches afterwards are especially important as part of every smart runner’s routine. This entry was posted in injury prevention, Kitchener Physiotherapy, Knee Pain, Preventative therapy, Running, warm-up and tagged exercise, injury prevention, Running, stretches on August 20, 2015 by bodytechphysio.